The ultimate high performance rescue descender for self-evacuation or casualty recovery from tall structures, including wind turbines. 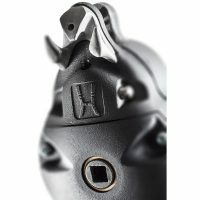 Unique robust design, developed for the most demanding environments. Total durability with 10+ year lifespan, fully waterproof mechanism and minimal maintenance. 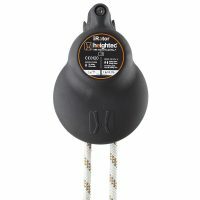 Complete safety with lowering & lifting capability, high load rating and integral load indicator. 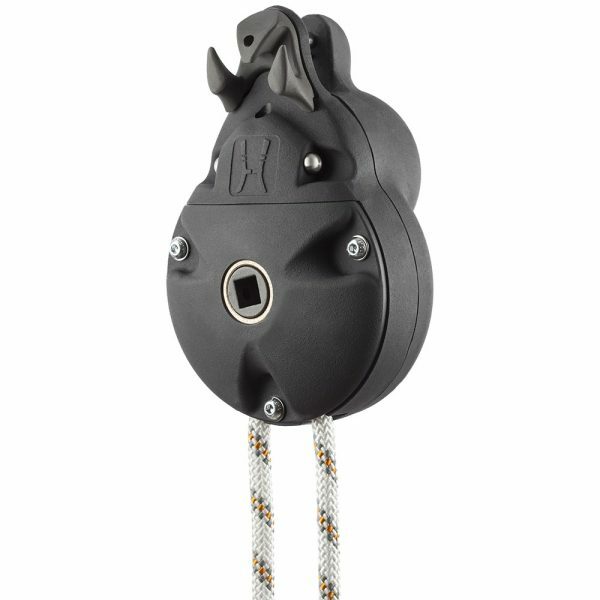 This simple, easy to use ROTOR rescue and evacuation descender design includes a low profile body with no external moving parts that have the potential to snag and interrupt the descent. Unit is completely sealed against the ingress of water or other contaminants. 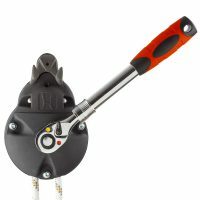 The ROTOR rescue and evacuation descender features attachment load point indicator that shows if device has been loaded. Lifts in either direction via detachable handle. Ratchet locking mechanism holds the load if the handle is released. Locking mechanism is engaged by simple push button, which is recessed to protect against accidental operation. ‘Free running’ position can be engaged for evacuation use. Automatically controls descent speed to between 0.7m/s and 1.7m/s, depending on load, without the need for manual operation. Supplied fitted with 9.5mm rope giving 10:1 safety factor with 250kg. Maximum rope length 500m. Friction horns give additional control for lowering a casualty. 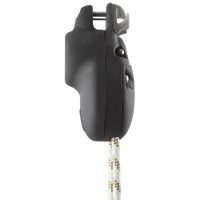 Device can be attached to an anchor point (passive) or direct to the user harness (active). The ROTOR device is not subject to a specific lifetime, however it must be serviced and replacement rope fitted every 10 years. Full service support available. ROTOR Evacuation System – basic system for rescue & evacuation from height. Not for sale individually – Component part of ROTOR rescue systems – see related products.